If a drone is on your 2017 shopping list, then a visit to Lamma could help with your research. Geoff Ashcroft reports. The meteoric rise in the use of drones has spawned the birth of many new businesses offering services, training, advice and equipment. 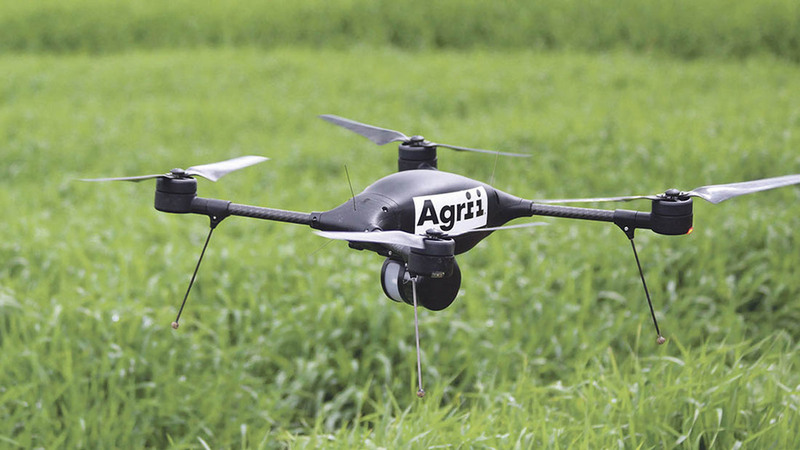 As applications for drones continue to evolve, an increasing number of farmers are looking at how they can be a useful tool for their businesses. It could be field mapping, weed scanning, head-counting for wandering livestock or just capturing the moment at harvest. But there are a few key areas to consider before parting with your hard-earned cash. Legislation is tightening up, and drone operators need to be aware of the rules and regulations which cover the use of such kit, while also being aware of airspace too. 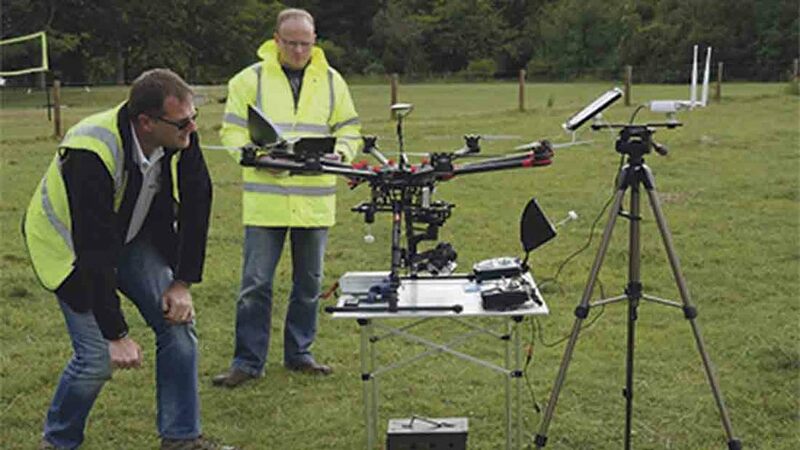 Matt Williams of Oxfordshire-based training provider Aerial Motion Pictures, is an ex-military helicopter pilot and offers a wide range of experience and advice for those thinking of using a drone. Mr Williams warns all operators should undergo training to get a greater understanding of the risks involved in carrying out drone flights. He says it gives novices an appreciation of airspace restrictions round them, flight regulations and the safety of others. The best place to start is the Civil Aviation Authority (CAA) website. Here, you will find a list of national qualified entities which are CAA-approved for training purposes. It could easily be argued using one for any aspect of business on the farm constitutes a commercial gain. The principle of operation requires the pilot to maintain a visual line of sight (VLOS) at all times. And according to the CAA, this means a maximum vertical height of 122 metres (400ft) and maximum distance of 500m (1,640ft) horizontally. Those with the necessary permissions can take advantage of drone technology. For others, it could be more prudent to buy-in drone services. This is the thought process behind start-up business Crop Angel. The firm took the wraps off a large-scale spraying drone at last year’s Lamma show and it says it is well on its way to making aerial drone spraying a commercial reality (visit Hall 7, stand 728). Run by Norfolk agronomist Matthew Kealey and grower Chris Eglington, they see a useful role for drones carrying out precision spot spraying. 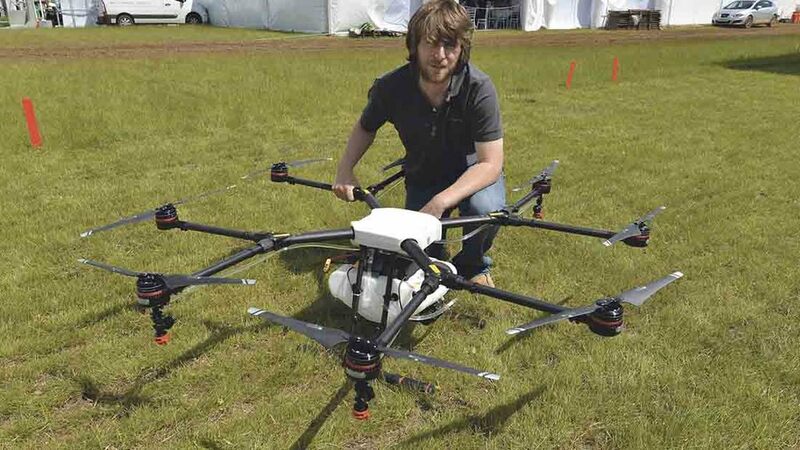 Mr Eglington says: “I have been flying round my farm for several years now and a drone offers a fast and efficient way to monitor crop growth and to look for incidence of pests and diseases. 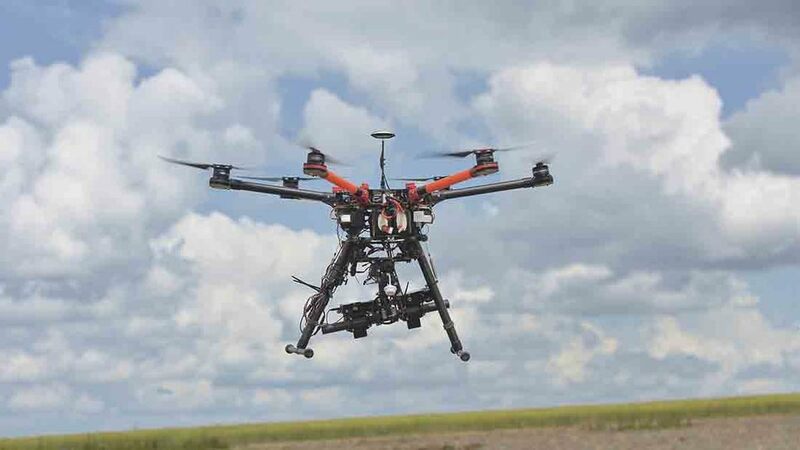 Current regulations forbid anything to be dropped from a drone, though the firm is working closely with the CAA and other regulatory bodies to develop permissions and approvals for remotely piloted, low volume aerial spraying. “There is a lot of work still to be done and some of the challenges include maintaining an even height above the crop canopy and getting close enough to the crop,” he says. Agrovista is also located in hall 7, on stand 769, and has been looking at the feasibility of making farmers’ drones work harder for them. By taking farmer-supplied images, Agrovista is now able to process images through its own Axis MapIT Pro software system and deliver useful data back to farmers, for variable rate inputs or patch spraying. Lewis McKerrow, Agrovista head of precision technology, says: “We wanted to see if this information could be used to deliver practical advice to growers who want to use their own equipment to capture data when it suits them. “One of the major steps forward recently has been the release of easy-to-use flight planner apps for tablets and smartphones, making it much easier for relatively unskilled operators to carry out these flights,” he says. Agrovista is now ready to take captured UAV pictures and data, process them and give them back as a shape files, ready for sprays or to overlap with soil maps to use in variable rate seed and nutrition plans. Future developments will see yield prediction models coming into the software to allow a yield forecast to be made a few months before harvest.